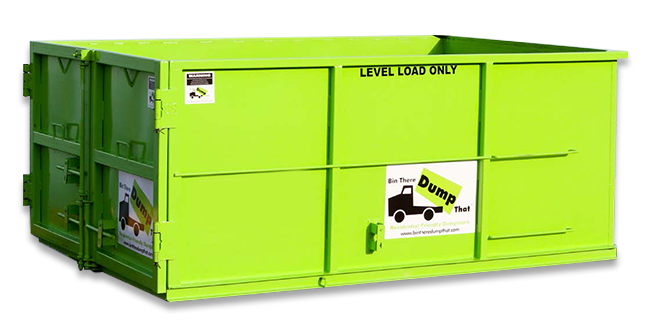 When it comes to your dumpster rental comparisons, we're simply better than the competition! Why can we claim this? we have made a name for ourselves for nearly 20 years by providing our customers residential-friendly dumpsters. But what does residential-friendly mean to you and why should you care? Residential-friendly dumpsters to us, means that the bin will fit conveniently in homeowners’ driveway, occupying the footprint of a minivan. Residential-friendly means that the bin is not unsightly to neighbors, the dumpsters aren’t rusted out and potentially leave rust stains on the driveway. Residential-friendly means that debris isn’t left on the driveway when a Dumpster Delivery Expert picks the dumpster up. Finally, residential-friendly means that the Dumpster Delivery Expert is prompt, courteous and respectful of the customers’ driveways. Renting a dumpster from Bin There Dump That assures homeowners a clean, attractive container that complies with most homeowner association (HOA) rules. They are compact and can fit into driveways, alleys and tight spaces. Easy to load from the rear, with double door access. Do not rest directly on your driveway and won't damage your driveway. Large enough to accommodate almost any residential clean up, move out, remodeling project or disaster restoration project. clean, attractive and comply with most homeowner association (HOA) rules. compact and can fit into driveways, alleys and tight spaces. easy to load from the rear, with double door access. do not rest directly on your driveway and won't damage your driveway. large enough to accommodate almost any residential clean up, move out, remodeling project or disaster restoration project. It’s easy to take an order without asking the right questions, but in the end it can cost you more money and lost time on your project if you don’t discuss the specific requirements for your dumpster rental. Our valued Bin There Dump That Dumpster Delivery Experts are what truly what sets us apart from other companies who deliver dumpsters. Our ability to deliver clean, residential-friendly dumpsters to your home, and place the bin wherever you need it is what keeps customers coming back. 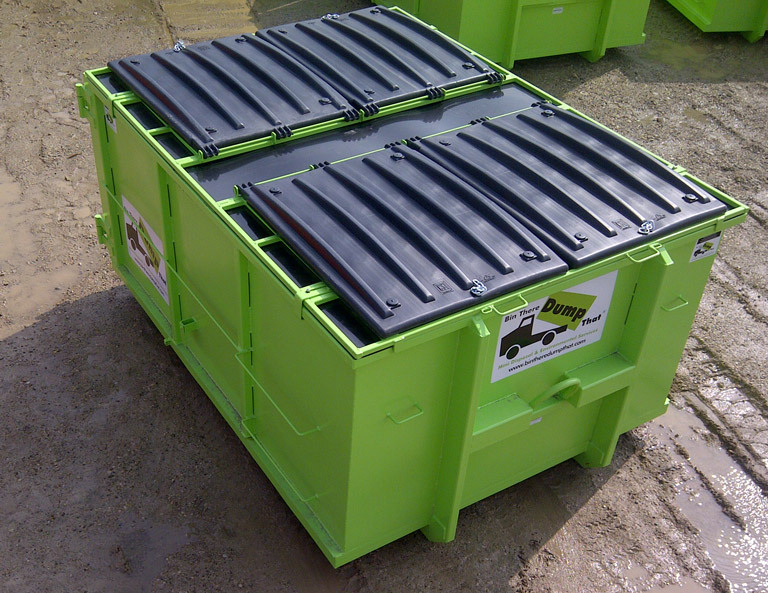 Our professional and approachable experts are always available to discuss the waste removal needs of any project. Our Dumpster Delivery Experts enjoy a challenge if it means giving the customer what the require and helping a project finish on time and on budget. A home remodeling project can add significant value to your home. We take a lot of pride in being the final stage of the home remodeling project. We understand that these home projects often requires your home to be a lot less accessible, as if its held hostage. When the project is complete, homeowners are overcome with a sense of relief, which explains the ear-to-ear smiles we see as we take our bins full of construction debris off the driveway, signaling the end of the project. 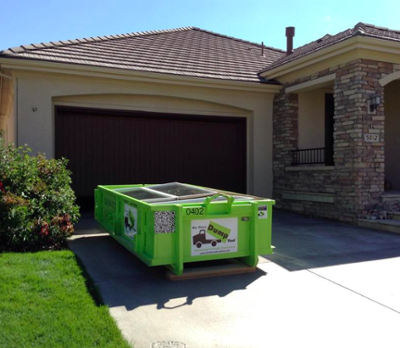 We work with general contractors all across America and understand that, for contractors, the dumpster you’ve hired to go on your clients’ driveway is a reflection of your professionalism. 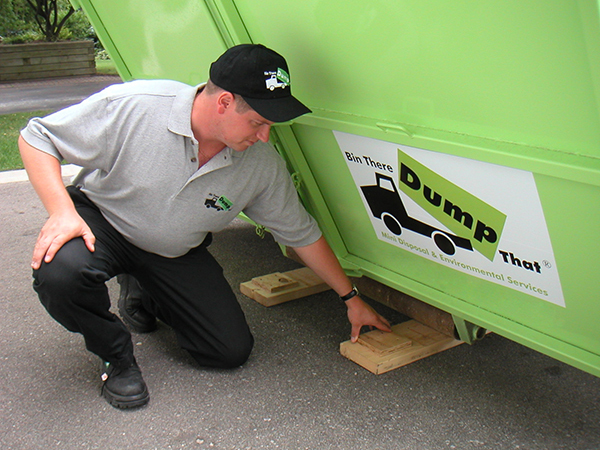 We alleviate that concern, providing contractors a lean, clean and green dumpster that has the footprint of a minivan. Contractors, rightfully so, expect the dumpster to be delivered and picked up upon their request, our Dumpster Consultants work diligently to meet contractors demands. 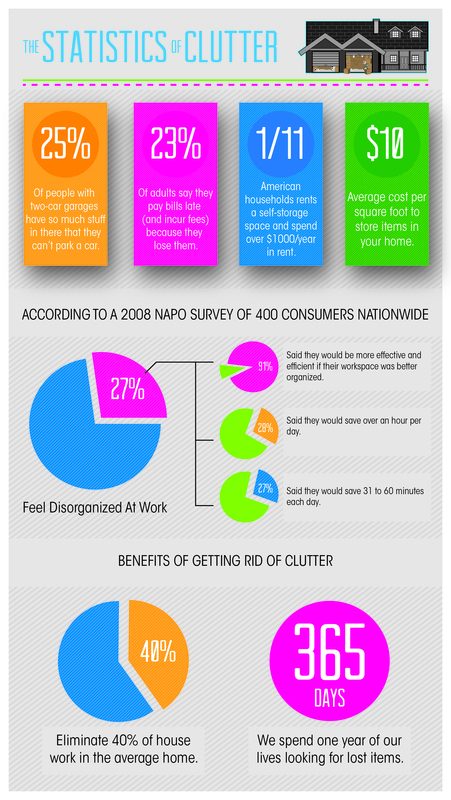 Science shows that clutter can have dramatic effects on your physical and mental well-being. We work with professional organizers throughout the United States who commit helping Americans deal with clutter issues in their homes; we share this commitment to improving the quality of life by removing the clutter from homes across America. Please include attribution to www.bintheredumpthatusa.com with this graphic. Why choose 'coach' when you can upgrade to 'first class' for the same price? Friendly, professional customer service, plus fair pricing, equals value. Call us for a quote on your next project.